FASHION PICKS: ASOS WOWZER BATWING DRESS!! With a gorgeous 70’s VINTAGE edge to it.. I couldn’t agree more with look magazine who featured this dress under their 49 Hot High Street Fashion Hits.. Retailing at £55 .. in shopaholic terms, this is a MUST have!! I am telling you… the options are endless! 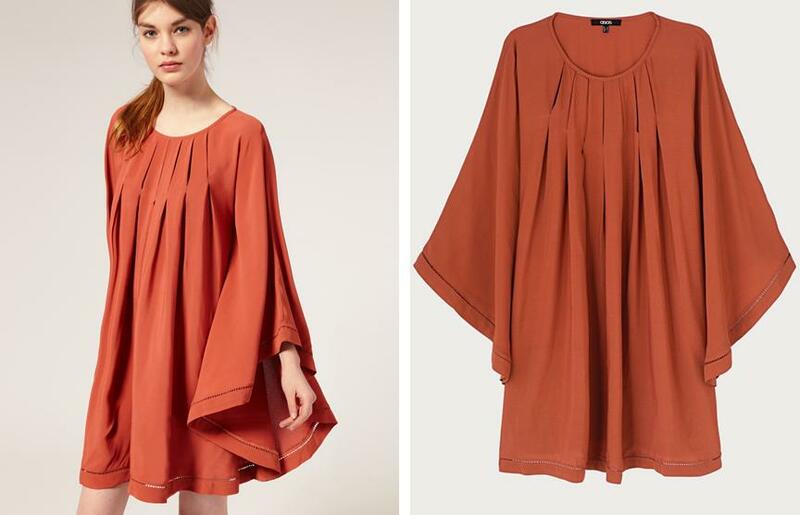 This dress comes in gorgeous brick orange (above) or a full-bodied Khaki. Previous Post FASHION TRENDS: SS11 70’S CHIC TIME WARP LOOK!! Next Post FASHION PICKS: H&M SUSTAINABLE STYLE!! I truly like your blog, the way you create posts and topic you covered are just fantastic. I know how tough it can be to get the visitors involved. I have made the decision to add your website to my blog list. I just ordered this dress ! i’m aure it will!! its gorgeous! !